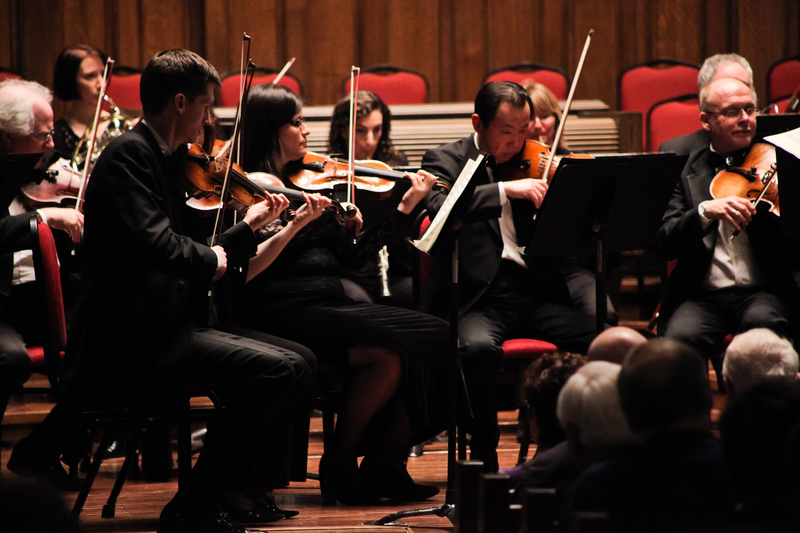 The MCO is &OpenCurlyDoubleQuote;Canada’r;s tiny, perfect chamber orchestra”r; (Toronto Star). It has toured widely, commissions often, embraces a diverse repertoire, and collaborates regularly with the world’r;s leading soloists, from James Ehnes to Measha Brueggergosman. 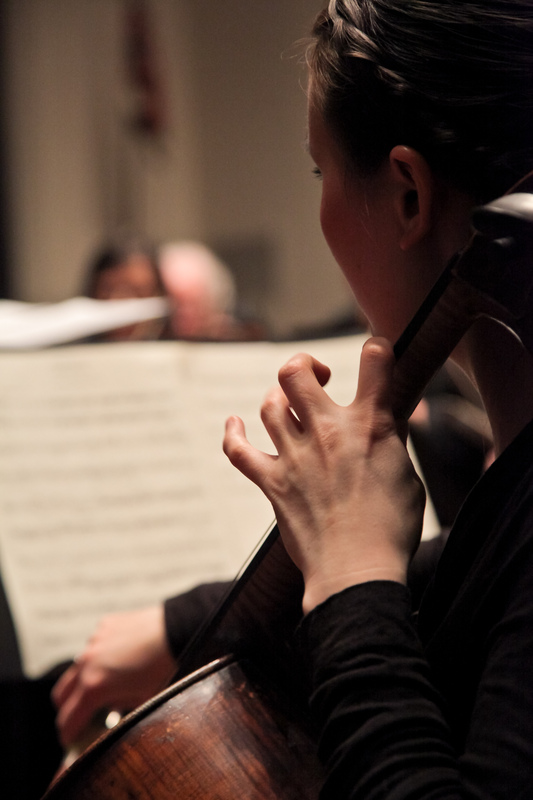 The orchestra, boasting a roster of some of the finest orchestral musicians in Canada, has been praised for its &OpenCurlyDoubleQuote;satiny sound&ThinSpace;&mldr;&ThinSpace;dynamic subtlety, and an impeccable sense of ensemble”r; (Ottawa Citizen) and called &OpenCurlyDoubleQuote;an excellent string ensemble conducted with crispness and verve by Anne Manson”r; (San Francisco Chronicle). Established in 1972, the MCO presents nine concerts annually in Winnipeg, most of which feature guest soloists, and all of which present an accessible, eclectic repertoire ranging from the mega-hits of the common practice tradition to exciting new premieres. The rest of its programming energies are devoted to an extensive program of touring, recording, and outreach. In 1995, the Manitoba Chamber Orchestra became the first North American orchestra to release a record with Sweden’r;s prestigious BIS label. Since then it has recorded nine albums, two of which have earned JUNO nominations (So Much To Tell with Measha Brueggergosman and Troubadour & the Nightingale with Isabel Bayrakdarian). Its 2013 recording of Philip Glass music has enjoyed international acclaim, and its 2018 release of Mirage? Concertos for Percussion with percussionist Dame Evelyn Glennie has enjoyed near unanimous praise from critics, with reviews continuing to emerge. The MCO’r;s first international tour was of Italy in 1999. Since then, highlight tour appearances include performing with Isabel Bayrakdarian at Carnegie Hall in 2008. Another highlight was its ten-concert Western Canada tour in 2009 with Dame Evelyn Glennie, with whom it recorded an album and again toured in 2016. In its 2018/19 season, the MCO tours the Maritimes and proudly continues its collaboration with soprano Measha Brueggergosman, the MCO’r;s guest artist-in-residence. In addition to concerts with other leading soloists, season highlights include premieres of new works by Canadian composers Vivian Fung and Kevin Lau. Notable among ongoing outreach initiatives is the &OpenCurlyQuote;Fiddlers on the Loose’r; ensemble, taking live music to remote parts of the province to work with and play for youth and families. 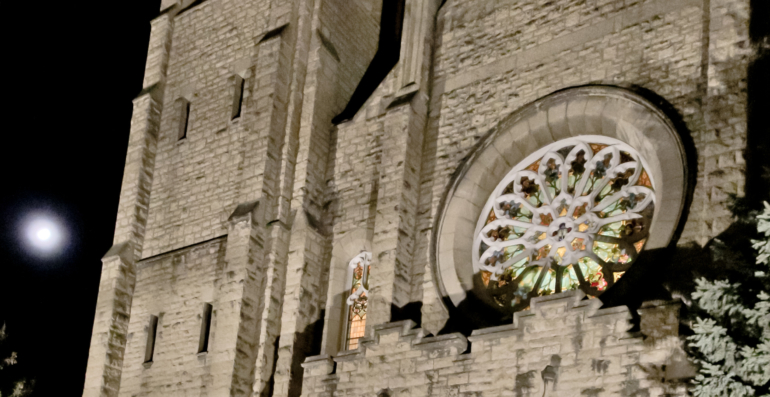 The MCO operates on an annual budget of about $1 million, and has worked hard to maintain a balanced budget for over two decades and to build an endowment for the future. It has nearly doubled the budget in the past ten years, helping to support its touring, recording, and outreach program. 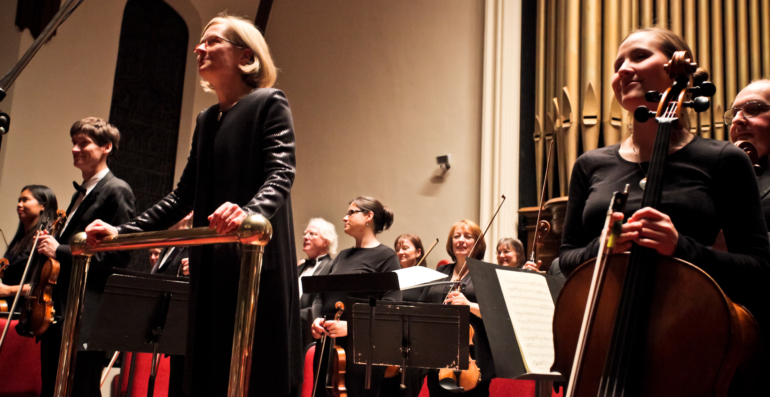 Conductor Anne Manson has served as Music Director of the Manitoba Chamber Orchestra since 2008. Manson’r;s strong commitment to contemporary music has led to numerous commissions and recordings with the MCO. Among them are Philip Glass’r; Symphony No. 3 and his third piano concerto, and the JUNO and Western Canadian Music award-nominated Troubadour & the Nightingale with soprano Isabel Bayrakdarian. Their latest release is Mirage? Concertos for Percussion, with GRAMMY-winning percussionist Dame Evelyn Glennie. Recent seasons with MCO have included the co-commission and Canadian premiere of Philip Glass’r; Piano Concerto No. 3 performed by pianist Simone Dinnerstein, as well as presentations of Mahler’r;s Lieder eines fahrenden Gesellen with soprano Measha Brueggergosman; solo recorder player Lucie Horsch; a duos and arias concert with sopranos Tracy Dahl and Andriana Chuchman; and Haydn, Oesterle, and Mozart with cellist Ariel Barnes. As a guest conductor, she has performed with the Los Angeles Philharmonic, Houston and Indianapolis Symphonies, the Residentie Orchestra of the Hague, the Saint Paul Chamber Orchestra, London Philharmonic, the Royal Scottish National Orchestra, Bournemouth Sinfonietta, Orquesta de Extremadura, BBC Proms, Swedish Chamber Orchestra, and she has guest conducted regularly with many orchestras in Spain. As a renowned conductor of opera, Manson has led at houses around the globe: San Francisco Opera (Così fan tutte), New York City Opera (Barber’r;s Vanessa), Grand Théâtre de Genève (Floyd’r;s Susanna), Royal Opera Stockholm (Donizetti’r;s Viva la mamma), Spoleto Festival (Janá&ccaron;ek’r;s Kat’r;a Kabanova), Minnesota Opera (US premiere of Jonathan Dove’r;s The Adventures of Pinnochio, Donizetti’r;s Maria Stuarda, Puccini’r;s Tosca, Humperdinck’r;s Hänsel und Gretel), Portland Opera (Philip Glass’r; Orphée and Galileo Galilei—released on CD in 2013, Puccini’r;s Madama Butterfly), Virginia Opera (Bizet’r;s Les Pêcheurs de Perles, Offenbach’r;s Orphée aux enfers). At the Washington National Opera, Manson has conducted numerous works including Douglas Pew’r;s Penny, Barber’r;s Vanessa, Conrad Susa’r;s Dangerous Liaisons, and Scott Wheeler’r;s Democracy, and has served as a mentor for the American Opera Initiative commissions. She received Canada’r;s DORA Award for outstanding musical direction for her work with the Canadian Opera Company on Benjamin Britten’r;s A Midsummer Night’r;s Dream. At the Juilliard School, she has conducted Janá&ccaron;ek’r;s The Cunning Little Vixen and Kat’r;a Kabanova, Offenbach’r;s Orphée aux enfers, Poulenc’r;s Dialogues des Carmélites, Ned Rorem’r;s Our Town, and the North American premiere of Peter Maxwell Davies’r; Kommilitonen!. In addition to recordings with the Manitoba Chamber Orchestra and Portland Opera, Manson has recorded with the Residentie Orchestra of The Hague, the BBC Scottish Symphony, the Iceland Symphony, the Singapore Symphony, and the Swedish Chamber Orchestra. Before serving as the Manitoba Chamber Orchestra’r;s Music Director, Manson was Music Director of London’r;s Mecklenburgh Opera (1987-96) and the Kansas City Symphony (1999-2004). She was the first woman to conduct the Vienna Philharmonic at the Salzburg Festival in 1994 (Mussorgsky’r;s Boris Godunov). Karl has performed in many of North America’r;s most famous concert halls, including Carnegie Hall, Jordan Hall, the National Arts Centre, Roy Thomson Hall, Segerstrom Hall, and the Chan Centre. As a chamber musician and soloist, he has shared the stage with many of the most important and eclectic violinists of our day, from James Ehnes to Mark O’r;Connor. The Avie Records 2014 CD of Karl playing Ysaÿe’r;s solo violin sonatas has received worldwide attention, including from Gramophone magazine, which hailed it as &OpenCurlyDoubleQuote;full of spirit and energy&ThinSpace;&mldr;&ThinSpace;exciting, fearless&ThinSpace;&mldr;”r; It was nominated for a 2015 JUNO Award for best Classical Album: Solo or Chamber Ensemble, and for a Western Canadian Music Award for Classical Album of the Year. In 2014, Karl, ever devoted to the music of our time, also released a live recording of the title track of Jocelyn Morlock’r;s Cobalt. In this recording he is joined by Jonathan Crow and the National Arts Centre Orchestra. He frequently performs and records new music, and has been involved in numerous commissions and world premieres. A lover of all things violin, Karl completed a minor in Violin Repair and Construction when finishing his Masters of Music at Indiana University. His passion for the construction and mechanics of the violin is an important part of his professional musical life, and continues to influence his performances and teaching. Karl never misses an opportunity to see and play fine violins and bows. He has given multiple lectures on the history of the violin family, violin building and repair, and has organized showings and lecture recitals of rare, fine instruments in concert halls, art galleries, universities, and conservatories. The Manitoba Chamber Orchestra offered up an intriguing discourse on the unique relationship between pupil and teacher and master composer and emerging musical genius with its latest concert that juxtaposed two symphonic works by elder composer Haydn and his protégé, Beethoven. Tuesday night’s quasi-lecture-demonstration included MCO music director Anne Manson setting up each of the two programmed works, contextualizing with anecdotes, historical snippets, and even a few quotes by music critics of the day. Albeit fascinating, it’s a fair guess that many in the crowd of 650 may not have always followed the compare-and-contrast analyses of musical motives, harmonic progressions and thematic material. The concert opened with Haydn’s Symphony No. 103 in E-flat major, the penultimate work of his 12 London Symphonies composed during 1794-95, as well as astonishing canon of 104 symphonies. Nicknamed ‘The Drumroll,’ the four-movement work begins with an extended timpani roll that underscores the mostly lighthearted work with ominous tension. The expanded orchestra — including added winds, brass and percussion, with the famous roll ably performed by Jeremy Epp — was a special treat to hear in the intimate venue. Kudos also to concertmaster Karl Stobbe for his gracefully rendered solo during the Andante più tosto allegretto, as he performed the embellished, Croatian folk song-inspired theme with confident, elegant clarity. The second half of the concert featured Beethoven’s Symphony No. 1, in C Major, Op. 21 — begun the same year as the 1795 Haydn premiere — that heralded the arrival of a new musical voice during its debut five years later. After the first movement’s Adagio molto introduction, Manson attacked the Allegro con brio with gusto, leading the players through its musical twists and turns, including rugged sforzandi — this composer’s hallmark. Following the Andante cantabile con moto, she then kept a firm baton on the Menuetto that sets off on its own rollicking extrapolation of the opening motives. The orchestra then delivered the finale: Adagio bleeding into the Allegro molto e vivace at lightning speed, earning whoops and a standing ovation for the nail-biting performance. 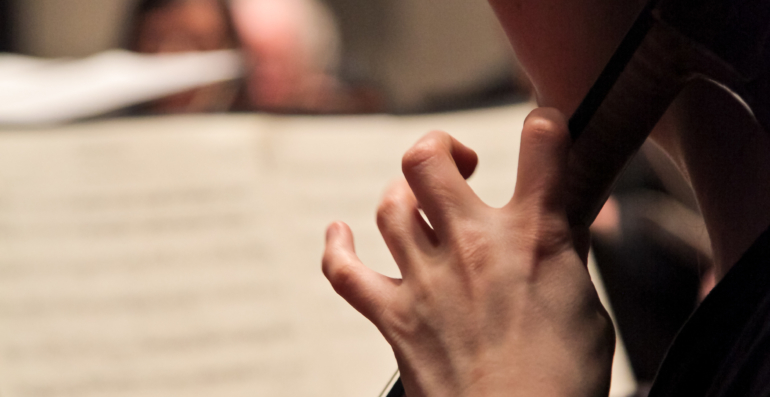 The MCO has carved out a reputation as one of this country’s leading chamber orchestras, with an impressive legacy of artistic risk-taking, including commissioning numerous new works by 21st-century Canadian composers. This particular ‘concept’ program, decidedly conservative despite Manson’s enthusiasm, provided an evening of classics for those waxing nostalgic for the 18th century. If you’d closed your eyes during the perform­ance of Grieg’s Piano Concerto in A Minor at the Manitoba Chamber Orchestra’s season-opening concert Wednesday night, experience and conventional wisdom would have made you picture the soloist as a middle-aged piano virtuoso. Such confidence, attack, technical fluidity and enchanting sensitivity could only come from a decades-seasoned performer. Instead, the guest artist was a blond-haired, fresh-faced lanky young man. But appear­ances don’t tell all. 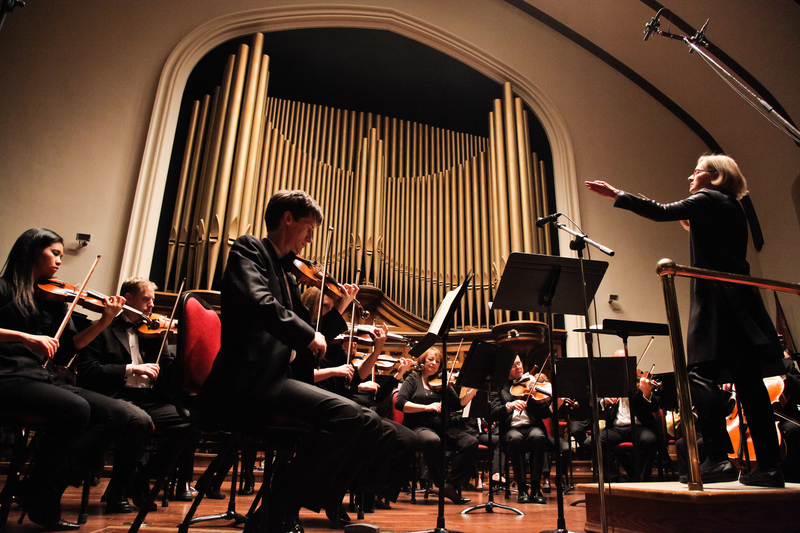 Eighteen-year-old Calgary native Jan Lisiecki has been playing with sym­phony orches­tras since he was 10 and gives 100 con­certs around the world each year. He had the audience in the palms of his long-fingered hands from Grieg’s familiar dramatic opening. Runs rippled from his fingers and the first movement’s lengthy cadenza grew from pensive to theatrical in its building excitement, showing Lisiecki’s extraordinary power and commitment. He puts his heart into his playing and while he could have approached some early passages with more patience, one can chalk it up to youthful enthusiasm. The MCO, under the direction of Anne Manson, was playing an arrangement for smaller orchestra by Canadian composer Michael Oesterle. This left many sections rather exposed — with mixed results. Unchanged was the lovely horn solo at the beginning of the second movement, played to perfection by principal horn Patricia Evans. Lisiecki’s feather-light touch blossomed into the simply pretty theme of the adagio, ruffles here and running lines there, before the sturdy melody emerged, played with assertive pomp. He began the final movement playfully, but with a serious intensity, a little military flair fused with folk-tune touches. We glimpsed Lisiecki’s gentler side in the lyrical middle section, to which he gave a romantic flow, singing with lovely understatement. This was pristinely and impressively sensitive playing. And then, we were back to the folk dance, skipping and hopping, until Lisiecki pulled out all the dramatic stops, milking Grieg’s music to the hilt for an audience-stirring ending. A unanimous standing ovation brought him back for an encore: Grieg’s delicate Arietta from his Lyric Pieces. We stood and clapped again — not just for the evening’s inspiring performance but for the many performances to come by this special young artist. The evening started with Bartok’s Rumanian Folk Dances, seven quick little spirited pieces that brought the countryside right into the church hall. Concertmaster Karl Stobbe was especially nimble in his many solo sections. The MCO reprised its popular recording of Philip Glass works with a performance of Symphony No. 3. The highlight of this was the third movement, which opened with a delicious sense of anticipation from the viola, cello and bass lines. It was nice to see Theodore Chan, who played on the recording and who is now with the Toronto Symphony Orchestra, back to handle the bass solos full of gorgeous growls. Stobbe’s impassioned violin solo was picked up seamlessly, first by Kerry DuWors, who kept the feeling alive with lovely legato, and then by Elation Pauls, who carried well. The blend of all the voices in the orchestra was transfixing. A solid start to the new season. 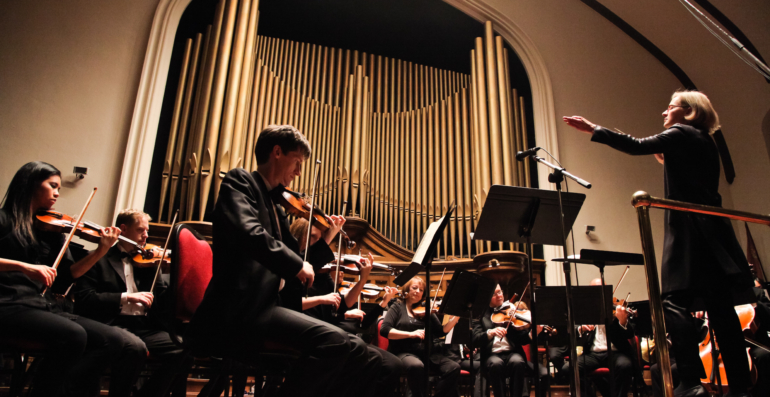 The Manitoba Chamber Orchestra has an uncanny knack for packing its concert series with some of the most sought-after and talented artists of our time. This past season it has treated Winnipeg audiences to sopranos Isabel Bayrakdarian, Suzie LeBlanc and Tracy Dahl, violinist Karen Gomyo, countertenor Daniel Taylor and pianists Marc-André Hamelin and Janina Fialkowska, to name a few. Wednesday night marked the MCO’s final concert of the 2012-2013 season and they saved something special for last. British cellist Colin Carr was not only the guest soloist, but he was listed as conductor as well. Carr is no ordinary musician. He has a joyful aura about him that envelops the audience and draws them into his sensitive music-making. He displayed his unique and expressive style in Boccherini’s Cello Concerto in G Major, G 480. Carr is one with his cello, made in 1730 by famed Venetian luthier Matteo Gofriller. He plays in an open, honest style, without bravado; he could be playing just for himself. The cadenza of the opening movement revealed a rich tone as he plumbed the range of the cello. He was accompanied by a skeleton orchestra — just two violins, Karl Stobbe and Barbara Gilroy, Dan Scholz on viola and Desiree Abbey on cello. The mood shifted radically during the Adagio. Carr crafted it with subtle pensiveness, perfectly complemented by the two violinists. You could have heard a pin drop in the church. His cello sang throughout the Allegro, his caressing bow and unstoppable fingers bringing the most out of this cheerfully peppy movement. Carr shows great respect for the music, paying complete attention to every detail the composer has created. This performance earned him a loud standing ovation. The evening began with the sunny and melodic Divertimento in D Major by Mozart. The violins and violas stood all evening, which seemed to add more energy to their playing. First and second violins were on opposite sides of the stage, giving the sound an effective dimensional depth. The musicians’ broad legato phrasing burst with life, full of satisfying peaks and valleys of expression. And while there were some technical inconsistencies with the violin section, the drive and vigour never wavered. The Andante was intelligently rendered, with thoughtful phrasing and perfect pacing. Carr, sitting in the cello section, cued gently with head nods and eye contact with concertmaster Karl Stobbe, who showed his trademark reliable leadership. The final Presto was a rousing and riveting performance full of conviction and nimble playing by all. The audience was predictably wowed by the final work of the evening, Tchaikovsky’s enigmatic and dense Souvenir de Florence. It morphs from rich and vigorous, with intensity that can take players over the top, to bucolic, with gorgeous harmonies, all the way to Russian folk-inspired dance. The work is unpredictable and complex. The MCO gave it its utmost, with mixed results. Best was the Andante movement, with its melody moving seamlessly from section to section, consistently interpreted with palpable emotion. This was a solid way to end the season. Out of the inferno of the Holocaust have come many inspiring stories of courage, strength, survival, and defiance. The Diary of Anne Frank, published in 1947, still resonates as an extraordinary tale of resilience. The Manitoba Chamber Orchestra presented the seemingly innocent Brundibár (The Bumblebee) Tuesday night, a poignant children’s opera penned by Jewish Czech composer Hans Krása that is a charming fairy tale and ethical manifesto dealing with the horrors of fascism. Winnipeg’s première children/youth vocal ensemble, Pembina Trails Voices, performed the 40-minute work with youthful energy, impeccably prepared by artistic director Ruth Wiwchar with efficient stage direction by Donna Fletcher. Notably, Wiwchar also led the orchestra situated in front of the stage area, stepping in for MCO’s Anne Manson, who had become ill at the last minute. The story, based on Adolf Hoffmeister’s libretto, is simple. First performed in its orchestral version in 1943 at the Theresienstadt concentration camp, it tells the tale of young Aninka and Pepicek, whose ailing mother needs milk to get well. Wicked organ grinder Brundibár bullies them after they imitate his singing to raise money. Their fantastical friends, Dog, Cat, and Sparrow, joined by Ice Cream Seller, Baker and Milkman offer to help by singing a lullaby that earns them donations from passers-by. After Brundibár steals their money, the children chase him down before reuniting to sing a victory song that celebrates the bonds of friendship in staring down adversity. This moving opera has been performed in the city before; last seen as a touring production by Saskatoon Children’s Choir in June 2006. But whether one sees the opera for the first time, or many times, it’s safe to say it will always pack an emotional wallop of sheer magnitude, literally giving voice to the ghetto’s children who were murdered days after each of the original 55 performances, as well as serving as a living testament to the power of art. Even its unusual orchestration reflects harsh origins: scored for the 12 musicians available — and still alive — in the camp. Sung in English, all 78 children, and especially the 10 leads, performed with a sense of conviction their crystal-clear diction ensuring every word was heard. Their sweetly harmonized duets, trios, quartets and quintets interspersed throughout the show proved particularly heart-warming. The youthful cast is also to be commended for carrying on like true, seasoned pros when several sound issues inadvertently arose. Bravo to all, and especially to the tireless Wiwchar for bringing this important work to life, which elicited both laughter and tears in the audience of 764. The concert also included Stravinsky’s L’Histoire Du Soldat (The Soldier’s Tale) featuring Winnipeg actor Arne MacPherson, who spun his Faustian tale as a master storyteller. Guest conductor Earl Stafford — again, filling in on scant notice — led the seven-piece ensemble through Stravinsky’s rhythmically treacherous, episodic score with precision and fearless pluck. She’s given performances the world over with the most famous orchestras, she’s recorded more than 15 CDs and she recently received the Governor General’s Performing Arts Award for lifetime achievement in classical music. But when renowned Montreal-born pianist Janina Fialkowska takes the stage, there is an honest demureness that endears her to her audience. On Feb. 19, she performed Mozart’s Piano Concerto No. 12 in A major, K414 with the Manitoba Chamber Orchestra under the baton of Anne Manson. This is a lovely, lyrical concerto and Fialkowska introduced the opening melody with a refreshingly natural simplicity, well enunciated, with limpid ornaments. She made phrases sing and burble with uplifting joyfulness. Her fingers seemed to barely alight on the keys, as she maintained a light brightness throughout the Allegro. Fialkowska approached the stately beginning of the Andante with thoughtful patience. Ideas rolled out clearly in her distinct, deliberate style — not overdone, which is true to the score. Echoes of the Allegro wove in and out. The Allegretto was gently playful and understated. Fialkowska’s pure artistry made it all seem so easy. She brought Mozart’s voice to our ears through the magic of her hands. The audience provided rousing applause, persuading Fialkowska to play a stunning Chopin ringer as an encore. Gary Kulesha’s 1985 Serenade for String Orchestra, written for the MCO, marked a departure from his usual atonal compositional style. Four movements long, it opened with dense, intense harmonies, then mellowed into pleasing tunefulness, rich with assertive cello and bass lines. The Scherzo was spirited, syncopated and dance-like and the Romance was true to its name, albeit a bittersweet take. Smooth, long phrases were highlights, while the high-pitched insect-like violin section was a little hard on the ears. Manson imbued a sense of power and authority to the majestic Finale. The evening began with the charming Born by the River by Winnipeg-born composer, cellist and university professor Karen Sunabacka. She introduced the piece, explaining the influence and inspiration she gained from her Métis grandmother. Strains of the fiddle tune The Old French were evident immediately, as the work captured its liveliness and humour. Use of momentary silences and pizzicato grabbed our attention. 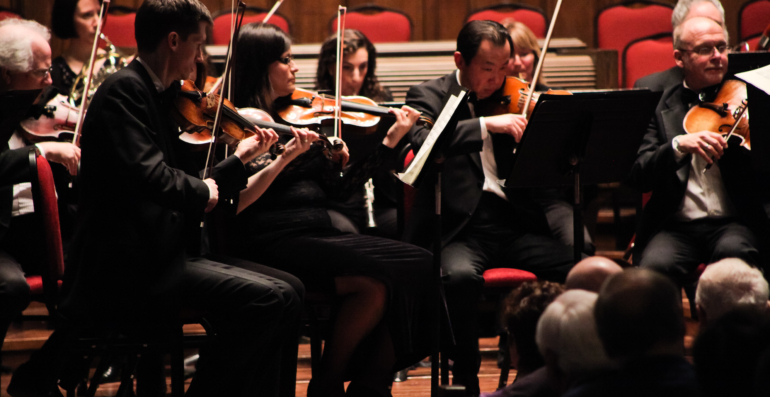 The night wrapped up with an energetic reading of Haydn’s Symphony No. 82 in C Major — ‘The Bear.’ After a brief audience lesson from Manson in the construction of the first movement, the MCO, bolstered by woodwinds and timpani, launched into the Vivace with plenty of oomph. The French horns had a few difficulties with their upper notes and the Menuetto and Trio was a bit heavy-handed, but you couldn’t help but warm to the sprightly finale with its unmistakable bagpipe-like drone in the cellos and basses. A great effort all-round. Forty years in the making, the Manitoba Chamber Orchestra and The Winnipeg Singers’ combined birthday bash proved well worth the wait. The two elite musical ensembles are both celebrating their 40th anniversaries all year long — an impressive accomplishment in a city renowned for its rich culture. To mark the occasion, MCO played host by presenting the vocal ensemble in a celebratory program especially chosen by longtime Winnipeg Singers music director/conductor Yuri Klaz and MCO music director Anne Manson. Estonian composer Arvo Pärt’s Berliner Messe (Berlin Mass) is the type of music that audiences adore. Originally composed for SATB (soprano, alto, tenor, bass) soloists with organ, its later reincarnation for chorus and strings premièred in 1992. Although technically a 20th-century work, it evokes the austere beauty of Gregorian chant and early music, with its transparent textures leaving little room to hide. The 24-voice choir launched into the opening Kyrie with great solemnity, its pungent dissonances melting into consonant harmonies underscored by the strings’ glassy overtones. The Gloria offered the first taste of the singers performing in full voice, and by Veni Sancte Spiritus — the very heart of this expressive piece, including its foreboding string drone — the crowd of 858 was entranced. Credo, with its quickly shifting meters, provided repose before plunging once again into the sombre depths of Sanctus. The Singers easily handled the large leaps in Agnus Dei, with the carefully blended a cappella sections a particular highlight. 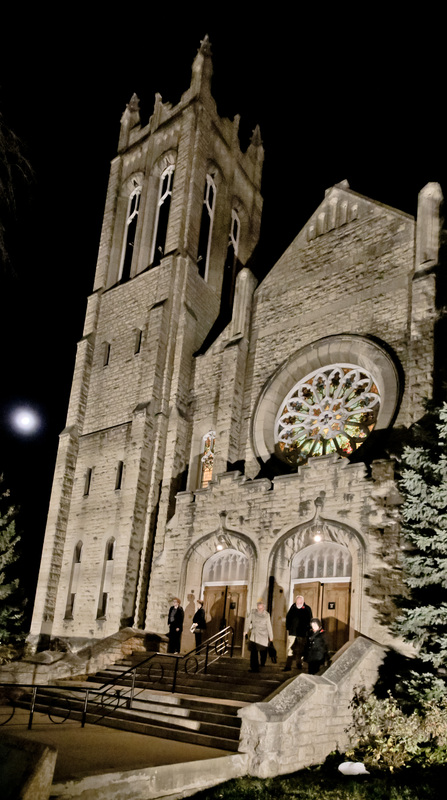 The concert also included Canadian composer Glenn Buhr’s Ritchot Mass. Written during the province’s devastating flood of 1997 — in which Buhr lost his own home in the RM of Ritchot — the four-part work is a gem. The composer’s imaginative craftmanship distinctly flavours each of its varied short movements based on the liturgical Mass: Kyrie; Gloria; Sanctus; and Agnus Dei. The choir’s final, hushed intoning of the phrase ‘dona nobis pacem’ accompanied by their rubbing fingers on tuned crystal goblets filled with water — thus making art out of potentially destructive forces — is utter magic. Renaissance composer Thomas Tallis probably never dreamed his Spem in Alium (I Have Never Placed My Hope) would be enjoying the success it has today. From innovative art installations to racy bestsellers, the impressive, 40-part motet seems to be everywhere these days. Now augmented by 16 additional guest vocalists, the Singers performed the city première with controlled precision, despite several nail-biting moments that risked total derailment. Klaz firmly kept the eight independent choirs together as their voices rose and fell through the piece’s polyphonic twists and turns. The crowd leaped to its feet, clearly appreciative of the work’s sheer technical difficulty, as well as all-encompassing sound. The concert opened with Vivaldi’s Credo, performed with crisp attack and clear diction. By contrast, Latvian-born Canadian composer Imant Raminsh’s Psalm 121 is a sonorous expression of faith that melds one phrase into another. Mendelssohn’s Jesu, Meine Freude closed the decidedly non-secular concert with a joyful noise, as an example of what this versatile, 40-years-young choir — not to mention its artistic twin, the fine MCO — does best. Many talented young artists abound but there is nothing like hearing well-honed artistry aged like fine wine. World-class pianist Marc André Hamelin wowed the crowd Wednesday night as the featured guest soloist for the Manitoba Chamber Orchestra’s latest concert. The program led by MCO music director/conductor Anne Manson included, unusually, not one, but two piano concertos, as well as a pair of contemporary works. Now based in Boston, the acclaimed Montreal-born musician marked his debut on the MCO stage in 1991, with his last appearance here in 2010. His rapport with both the orchestra and its loyal audience is palpable. Every time the Juno-winning artist comes to town, he’s welcomed to the stage like a rock star, eliciting loud cheers even before he’s tickled a single ivory. Shostakovich’s Concerto in C Minor for Piano, Trumpet and String Orchestra, Op. 35 is one of those great works one never tires of hearing. Hamelin pounced on his keyboard during the first movement allegretto's declamatory opening, followed by a solemn opening theme. He established at the onset this would be a take-no-prisoners performance, with his virtuosic technique easily handling the sparkling runs that erupt into brilliant octave passages. His cadenzas, courtesy of fabled Polish pianist Wanda Landowska, were effective, although one longed to hear how Hamelin — himself a composer — would have treated these showcase moments. Canadian guest trumpeter Guy Few, poised standing at the opposite side of the stage, interpolated his own sardonic commentary, spinning long sotto voce phrases with an impressive breath control and nerves of steel. His muted solo during the world-weary Lento proved to be particular highlight. After the ever-curiously short moderato that segues into the allegro con brio, Hamelin unleashed the fireworks, driving his piano — and the orchestra — forward like a runaway train. Always in supreme control, the soloist's vigorous finale including whipping glissandi and vaulting chords made this a performance that won’t soon be forgotten. As expected, the crowd of 765 leapt to their feet, demanding three curtain calls from the two guest artists. In response, Hamelin delivered a witty encore of Chopin's Minute Waltz Op.64 No.1 that begins traditionally but morphs into a dissonant variant. Hamelin also performed Haydn’s Piano Concerto in D Major, which brims with sunny optimism, if not overly technical demands. Still, you could sense the pleasure that he gets from playing this light-hearted music. The concert opened with the world première of Virtuosities (2012) by Vancouver-based composer Dorothy Chang, who was in attendance. The work was commissioned by the MCO as part of its ongoing 40th anniversary celebrations. Its three movements — To dream, perchance to fly, Souvenir and Mechanica — displayed Chang's ability to craft clearly structured, intensely focused works. Spanish composer José Evangelista’s Concerto Con Brio teemed with baroque influences, with its florid central movement Mélismatique an evocative highlight. 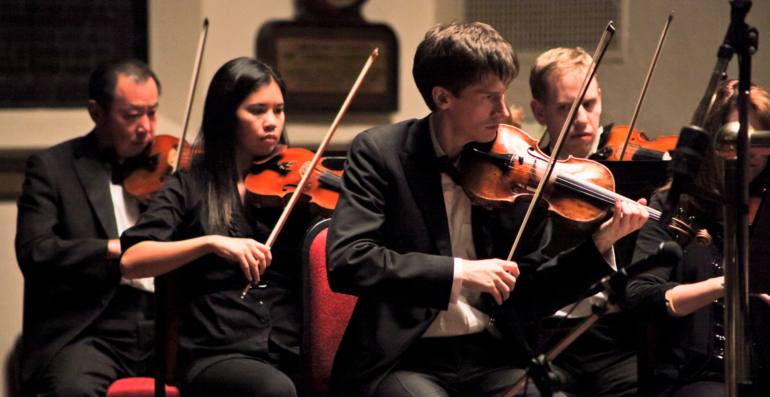 The Manitoba Chamber Orchestra has always been unafraid to venture into uncharted waters, frequently commissioning brave new works as well as performing established pieces that may be more challenging for its loyal audience base. Composed in 1775, Mozart’s fifth violin concerto is unique for so many reasons. One of them is the soloist’s first entry during the Allegro aperto that abruptly departs from the orchestra’s brisk opening to a momentary dreamy, quiet state. Gomyo immediately asserted her presence, crisply executing the technical runs with ease while also displaying flawless intonation and pleasing vibrato. Her gorgeous Stradivarius violin, gifted to her by a private donor, only enhanced her pure tone. She fearlessly tackled the cadenza with its double stops and multiple tonalities, which allowed further opportunity to hear her more intently. She next imbued the Adagio with lyrical grace, although some phrasing could have breathed more. The finale, Rondeau: Tempo di menuetto, began with all its courtly manners before erupting into its alter ego — the (relatively) rough ‘n’ tumble Turkish romp where the cellos and basses beat their strings with the wood of their bows. At this point, the performance really roared to life. Jocelyn Morlock is quickly establishing herself as a leading Canadian composer, acclaimed for both her lyrical writing and sensitive ear for sonority. After receiving a bachelor of music degree from Brandon University she pursued doctoral studies at the University of British Columbia in Vancouver, where she now resides. It’s a pleasure to hear her artfully crafted, MCO-commissioned Nostalgia again, which received its world premiere in 2007. Yoo led the orchestra — as he did five years ago — through its many textural ebbs and flows, including shimmering strings, elegiac cello lines and syncopated rhythmic outbursts. Its hint at J.S. Bach’s Sonata for Viola da Gamba and Harpsichord, BWV1027 provided a reference point, although none was needed in this stirring piece that already displayed the hand of a fine composer in the making. The concert ended with Arnold Schoenberg’s Verklärte Nacht (Transfigured Night), Op. 4 composed in 1899 that predates his daring invention of serial composition. The one-movement piece unfolds as a multi-layered, rapturous journey into the heart that takes on an epic quality. Although its unrelenting intensity may not be everyone’s cup of tea, the MCO is to commended for programming the ultra-romantic classic, led with finesse — and without score — by the dynamic Yoo. 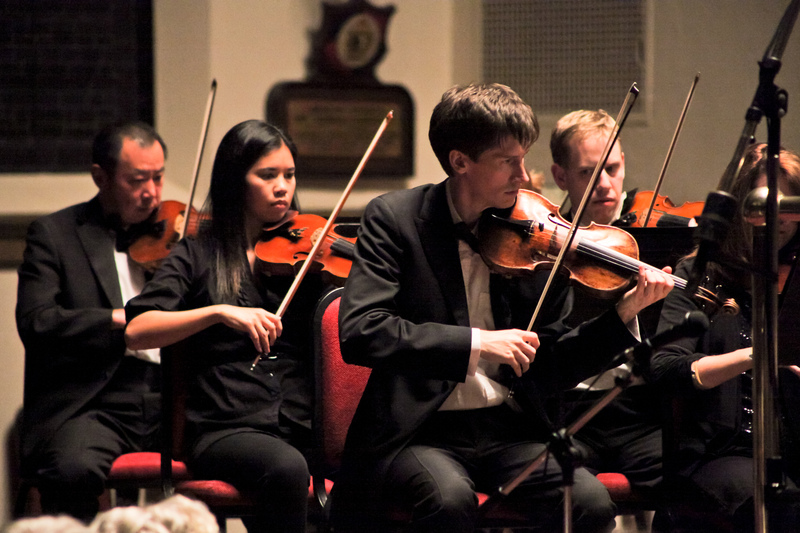 If you ever doubted that music could transcend language, Wednesday night’s Manitoba Chamber Orchestra (MCO) concert would have changed your mind. Guest artist, spectacular Armenian-Canadian soprano Isabel Bayrakdarian sang in Greek and Armenian. Audience members were provided lyric sheets with translations, but who wanted to read fussy bits of paper when Bayrakdarian was onstage? This musical treasure told us everything we needed to know with her limpid voice, impassioned facial expressions and graceful gestures. No words necessary. The concert was introduced by the always debonair CBC Radio 2 personality, Bill Richardson. 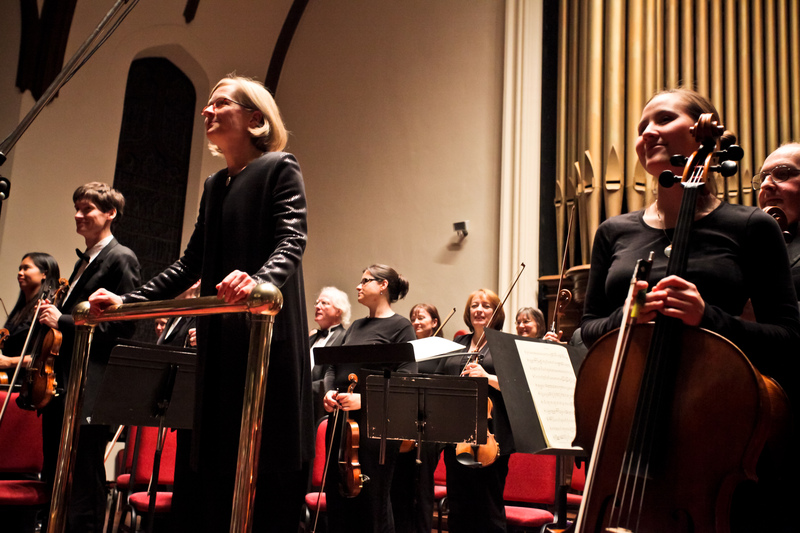 Conductor Anne Manson was at the helm for this 40th anniversary season opener. Bayrakdarian began with Five Greek Songs by Maurice Ravel, arranged by her husband Serouj Kradjian. It was evident from the singer’s appearance that the couple is expecting an addition to their family soon, but this did not affect her gorgeous voice. The song cycle resembled a box of gourmet candy, each piece more deliciously tempting than the last. Song of the Bride was immediately lilting, full of colour and power. Yonder, Near the Church had a somewhat melancholy tenor, rendered with long seamless phrases that were satisfyingly assertive. Bayrakdarian is so communicative, possessing a unique style that makes you feel that she is singing right to you. The soulful Song of the Lentisk Gatherers displayed her purity of tone, full of emotion and subtle inflection. And All Merry! was a dance in song form, bursting with playfulness. The addition of the separate Ravel song, Tripatos was joyous fun, Bayrakdarian almost laughing as she sang. She also performed 18th-century Armenian composer Sayat-Nova’s Four Songs, arranged by Kradjian. One couldn’t help but be struck by the modern tunefulness of the poignant first song Kani Voor Janim, Bayrakdarian’s voice carrying effortlessly through the hall. Versatile concertmaster Karl Stobbe matched her emotion in his solo violin passages in Blbooli Hit, which was steeped in sorrow, his sensitive playing well-controlled. We felt we had travelled back in time to an earlier Armenia. The spirited Kamancha was an ode to the Armenian bowed instrument. Bayrakdarian’s weighty voice crafted this beautifully, deftly shaping phrase endings, imbuing it with personality. You really couldn’t ask for more. The concert ended with Manson and the MCO whisking us off to Dvořák's Czech countryside in a rousing performance of his elegantly substantial Serenade for Strings. This is a work that shows the composer's love of the instruments — and he gives everyone a chance to shine. Overall, the musicians made the most of the opportunity, sweeping us up in the introductory melody with smooth bowing and effective nuance. The tempo di valse was wonderfully textured, only marred by a few stray violins letting their colleagues down with squeals and untidy notes. But the scherzo brimmed with life, violins scampering brightly and the finale was suitably upright and urgent. A nice start to the season. ... an excellent string ensemble conducted with crispness and verve by Anne Manson. Manson led the solid, polished orchestra in robust and committed performances. MCO is Canada’s tiny, perfect chamber orchestra.